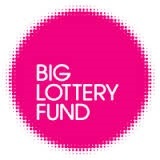 The Big Lottery Fund holds regular webinars for two of its programmes. They currently offer an Awards for All England webinar, and have an identifying need and an outcomes webinar for applicants that are thinking of applying to the Reaching Communities programme. Awards for All on a weekly basis and every two weeks for Reaching Communities Programme. Get more info about dates and how to register here. If you need help and support with fundraising information or get more guidance on writing funding applications please visit our Fundraising Support and Information web page.